No separate power required. 2 Gang Switch Box. Shunt included. 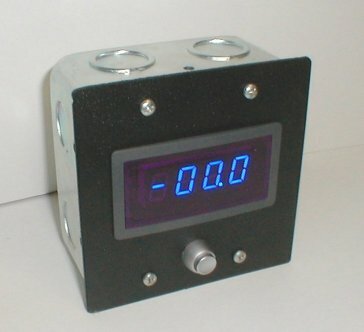 Finally an affordable, ready to go amp meter for your alternate energy system. A highly-efficient yet flexible amp meter which can be used to measure the charge or discharge current in 12, 24 and 48 volt alternate energy systems or other energy sources or loads. No separate power supply is needed! 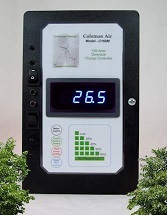 This meter has been designed specifically for alternate energy systems; yet, it also perfect for measuring vehicle, yacht, electric toy, tool or motorcycles having a 12V, 24V or 48V storage batteries. 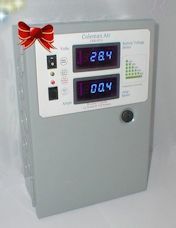 On/Off Switch -- This meter uses only 30ma to 60ma ( .03 to .06 amps) at 24 volts, or approx. 10ma at 48 volts. 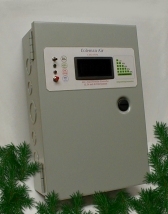 If you are like many of us who simply do not like wasted energy, regardless of how small it is, then you will love this meter, as you can simply shut if off when you are not using it. Shunt is remotely located for direct sensing. 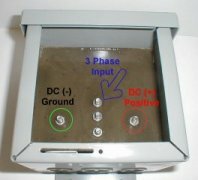 This allows the current carrying wires to take a more direct path to the batteries and alleviates the need to route them through the meter case. The 100 amp shunt is included, but not shown. Large (0.56”/14.2mm) easy-to-read blue LED display. Max Input voltage: 100 volts. Most "meter" supplies you find use a low cost linear voltage regulator. This is completely useless for 48 volt systems, and on 24 volt systems, you better have a big heat sink and expect to use about 1 amp of power just running a single meter. This supply uses a super efficient high voltage switching regulator, this is not cheep, but it is necessary! 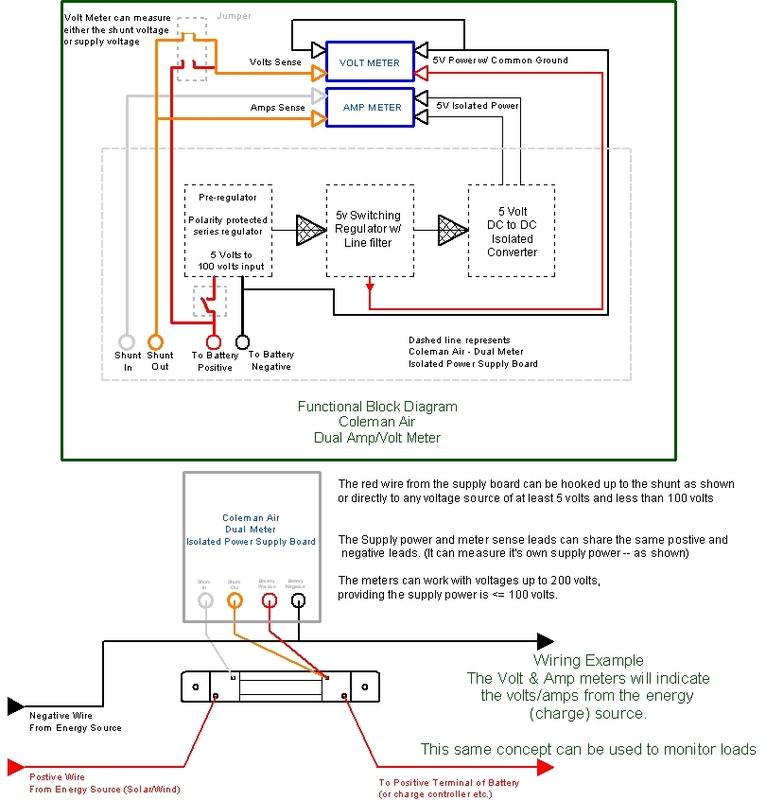 An amp meter requires total isolation from its power supply verses its sense leads. 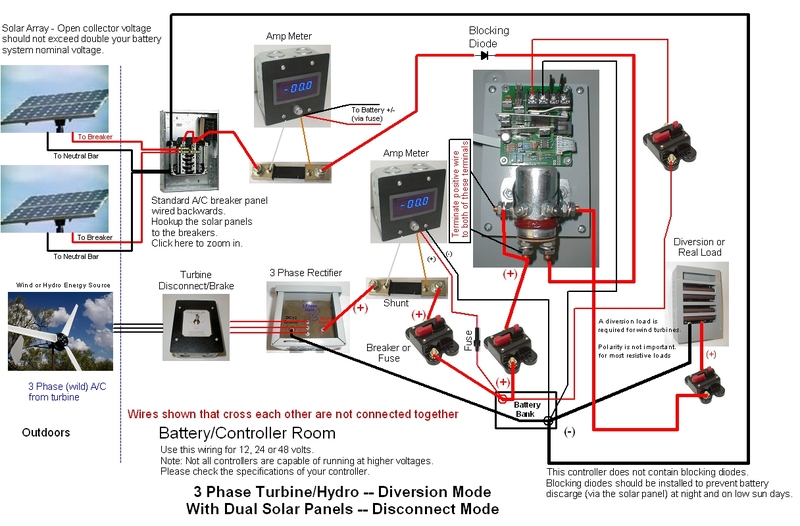 This is difficult to accomplish when you want to use the voltage available at the shunt to power the meter directly. Many DC to DC isolators are available if you wanted to build this type of supply yourself, but then you still have to reduce the incoming voltage to the level of the DC to DC isolator -- and you have to prevent the meters power demand from dropping the voltage across the shunt and fooling the amp meter into thinking there is more amperage then is actually occurring. A voltage drop of only .0075v will cause an amp reading of 10 amps!. We have accomplished this and it is ready to go. Hookup four wires and you are ready to go. Push the switch to turn the meter on. Push again to shut if off. That's about it, super simple, yet super functional!